THE END OF TERRORISM IN NIGERIA MAY BE VERY CLOSE, AS NIGERIA’S PRESIDENT, MUHAMMADU BUHARI HAS ISSUED A STERLING ORDER TO NIGERIAN MILITARY TO END THE SATANIC VICES OF THE MILITIA GROUP IN AFRICA’S MOST POPULOUS BLACK NATION ON EARTH. 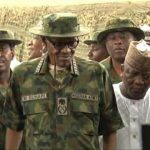 In a Press Statement issued on his behalf by Garba Shehu, Senior Special Adviser, Media and Publicity to President Muhammadu Buhari, he said Nigeria’s President has finally resolved to end Boko Haram activities in Nigeria by his direct order to the military to once and for all crush the group. 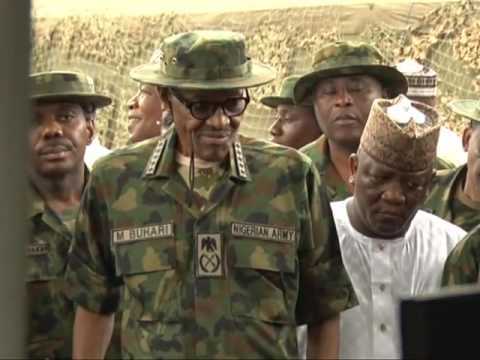 President Muhammadu Buhari Wednesday in Maiduguri, Borno State, ordered the military to eliminate all threats of Boko Haram, declaring that that the war against terrorism is “a must win’’. In his statement at the conference, the Chief of Army Staff, Lt. General Tukur Buratai said internal security had greatly improved from what it was in 2015 when President Buhari assumed office. Lt. Gen. Buratai said a new proactive strategy would be put in place to counter the recent military losses. At the Palace of Shehu of Borno, Abjuratory Ibn Umar Garbai El-Kanemi, President Buhari said his administration will do everything to secure the country, commiserating with all Nigerians who lost loved ones following recent setbacks in the fight against terrorists.